Are you using these energy-saving strategies? 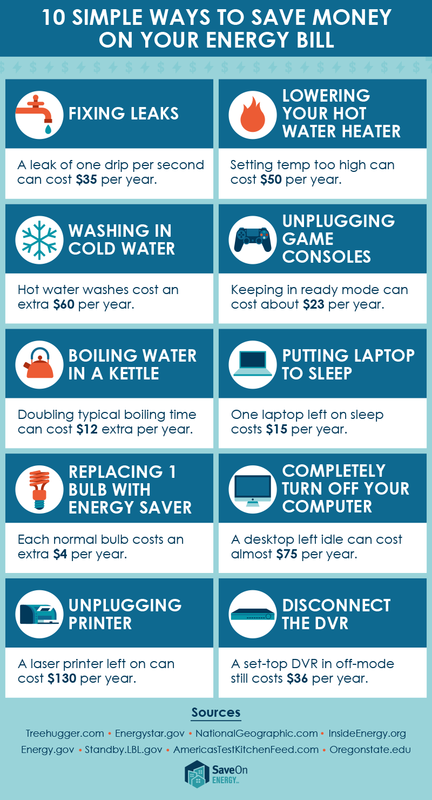 SaveOnEnergy's article "Energy Saving Hacks That Americans Aren't Using" shares tips and statistics on how saving energy can save you money, from seam-sealing to unplugging items when they're not in use. Also, you'll see results of the company's survey of what saving strategies homeowners are currently using. If someone offered you $100 for simply unplugging something when you weren’t using it, would you do it? Although appliances and lighting options are now held to more strict guidelines, many Americans are still using old, inefficient models in their home. This leads to wasted energy and money. Every year, the average American spends $1,460 on electricity and $421 on natural gas. And with prices for electricity predicted to rise about 2 percent each year through 2018, the energy changes we make within our homes can make a big difference.